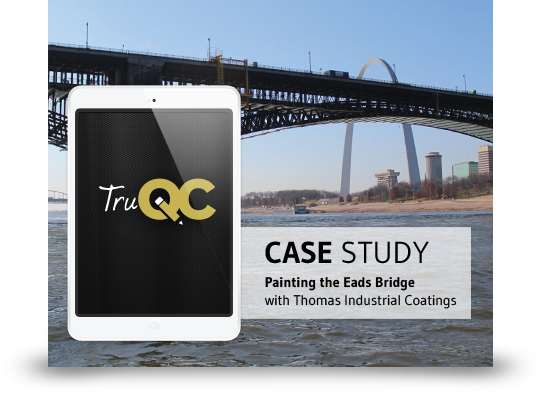 Our industrial painting and quality control app reached one million lines of code. That’s a lot of code. Quite a bit of programming goes into creating a powerful tech tool. In fact, our TruQC job-site documentation software surpassed one million source lines of code before its first year in the Apple store. Clearly, with this many lines of code, we’re talking about more than your average “To Do” list app here. We’re talking about robust tools that can make your job-site run more efficiently and effectively. We’re not saying that bigger always means better when it comes to developing software. In our case, it simply means more comprehensive. Apps for “To Do” lists would have no business using a million lines of code. In fact, it’d more than likely indicate sloppy programming. But TruQC is more than just a checklist or “To Do” app for your job-site. Each of our seven reports could act as stand alone programs. The power in TruQC is that it pulls them all together into one piece of quality control software and stores them safely in the cloud. Together, they require a lot of code. A whole lot of code. A million plus lines of code. With reports covering everything from OSHA-compliant safety briefings, to daily inspections of quality control standards, to expense and time sheet reporting, it’s really no surprise that TruQC contains more lines of code than a flashlight app. Instead of one tool, you’re holding a veritable Swiss Army knife of industrial painting documentation and quality control software. While that doesn’t necessarily put us on the same level as the people launching rockets for NASA, we still think it’s pretty cool. A field management system that pulls together so many functions means you spend less time computing and more time managing your job-site. When you create, view and share documents all in one program, you spend less time cutting, pasting and emailing. You can also sync in real-time, and back up all of your important information in one place, ensuring that you’re protected against the unexpected. We certainly don’t just pile on the code for the fun of it. We mention the milestone to tell you how far we’ve come. As we look ahead, we will continue to remain focused on providing the best possible product. If it means removing lines of code to streamline the app we will. If it means adding one million more lines of code to accommodate customer feedback, then that’s what we’ll do too. Until then, happy painting.